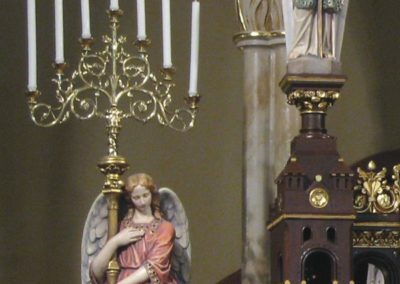 To restore four, 48″ high angels from the historic Catholic church’s altar of reservation in Convent, Louisiana. 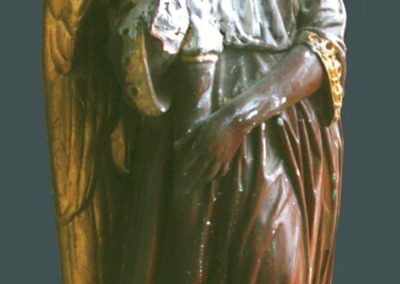 The angel’s finishes had deteriorated and they had suffered significant plaster damage, which included missing hands and feet. The extensive plaster repair included molding and attaching the missing parts. New plaster areas were primed. Fragile paint surfaces were stabilized. A barrier varnish was applied to the statues, followed by the polychromatic painting, which restored soft, realistic color and luminous skin tones. Layers of glazes were added to give depth to the sculpting, bring out detail and protect the new paint. 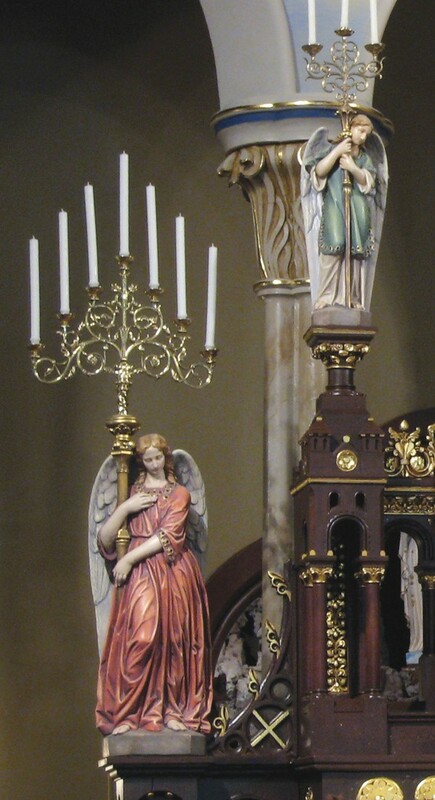 Restoration of the angels was executed during the time when Hurricane Katrina devastated the New Orleans area. 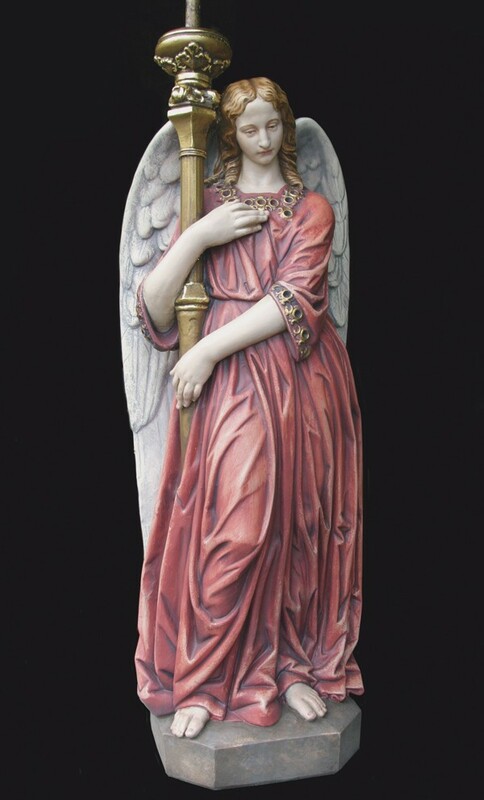 The restored angels became an inspiration not only for St. Michael the Archangel Parish, but also for hurricane evacuees taking refuge in Convent, Louisiana. The statue restoration was a part of the extensive interior restoration completed by the Studio.